The charitable giving market can be a tough one, and it takes a very special kind of employee to work in this industry for very long. It takes a deep understanding of non-profits to commit to helping them raise monies to support important causes. Employees often endure high levels of stress, long work hours, and thankless tasks that can be met with disappointments along the way. It’s certainly not a glamourous career choice, but unlike pure profit businesses, it’s one that makes a bigger difference in the world. There are perks of working in the charitable giving industry too, including life-long access to a variety of interests, above average earnings, and the chance to meet cool people around the world. Maybe this is why the non-profit sector continues to grow in leaps and bounds. Having access to a cloud-based system for measuring employee engagement in real-time was a big part of this goal. For JustGiving, the clear choice was Thymometrics, the leading global supplier of always-on, real-time employee engagement surveys. The data gathered, along with a number of easy-to-utilize reports and a central communication platform enabled JustGive to increase employee engagement and improve productivity at the same time. Employees now have the ability to share their experience and communicate directly with Andy, so that certain issues can be sorted out immediately, rather than after they become a bigger problem. Reports are run weekly, with data that is fresh instead of several months old. Employees can even share their thoughts and come up with ideas to make engagement better. 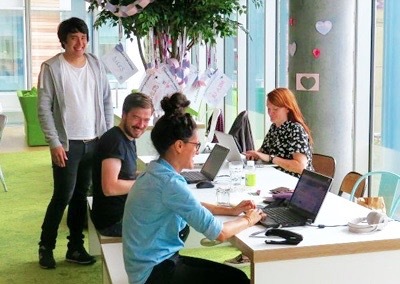 Overall, this was a great strategy for JustGiving, and companies like this, for better managing the demands of engaging employees and building a remarkable culture there. It’s become much easier to deal with shifts in the non-profit and charitable giving industries, react to employee concerns, and create a workplace that’s better than the competitors’ so that employees can focus on what’s important.